Attorney Shaw is Chairman of the Firm's Environmental Group, handling environmental litigation, compliance and permitting matters. He has been involved in several USEPA led investigations of Clients under the Clean Air Act and RCRA. Attorney Shaw also handles complex commercial litigation cases in the federal and state courts, ranging from claims of pesticide damage to crops to large breach of contract claims. 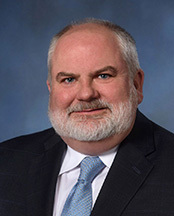 Attorney Shaw's most unique experience involves heading a PRP group at a USEPA Superfund site that the Group turned into a municipal golf course and driving range. He also has been involved in the demolition of a 100-year old foundry, which has been turned into an athletic sports complex for a local private high school.